The legal Wisconsin sports betting market can be difficult to navigate. For starters, the state is one of the select few that has the words “sports bets” mentioned within its law books. Secondly, the Badger State has yet to take any initiative to introduce bills to change that law. Still, the sports gambling industry brings in over $300 billion each year and Wisconsin sports fans are without a doubt contributing to that amount. Wondering how? The answer is with unregulated online sportsbooks. The term “unregulated” sometimes has a negative connotation when discussing legal sports betting options, but this just means that the sites are licensed in another country’s jurisdiction. Legitimate sites with sportsbooks are 100% safe to use and come with customer support, versus using a local bookmaker which is never a good idea. Before you start placing sports bets online, understanding the legality of both land-based and online wagering is important. There are also general laws related to gambling and other types of betting that you will also find beneficial in becoming familiar with. 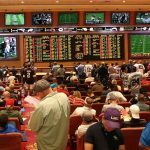 Is Land Based Sports Betting Legal In Wisconsin? Land-based sports betting used to not be legal in Wisconsin due to one federal law in particular. The Professional and Amateur Sports Protection Act of 1992 (PASPA), a federal law, that once prohibited the spread of sports wagering in the U.S. Only a few states were excluded from the nationwide ban, and those states were Montana, Oregon, Delaware, and Nevada. But, when the law was repealed by the US Supreme Court in May of 2018, many hoped to see Wisconsin casinos provide a way to gamble on sports. Unfortunately, the wait will have to continue. 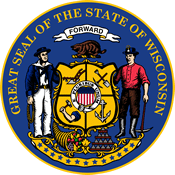 Shortly after the law was repealed the Wisconsin State Department of Administration, declared that the Supreme Court ruling would not affect current WI sports gambling laws. Casinos that are in the state’s tribal compact have not yet tried to renegotiate terms with legislators, and legislators have not yet introduced a bill since. While land-based legal sports betting in Wisconsin seems farfetched, online sports wagering is still readily available and in many ways vastly superior. Gambling on sports online is legal in Wisconsin as long as you wager in a safe betting environment. 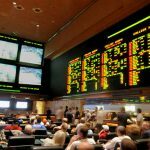 The state does have laws against local bookmakers attempting to transmit sports wagering information via the internet, but this is to prevent online sportsbooks from operating within the state. All of the online sportsbooks that you should use for legal Wisconsin sports betting are based offshore. There are no laws banning a WI resident from joining an overseas site. Though the sites are based in another country, they are still licensed and regulated by their local gaming authority. Many of those operators have been serving the US market for decades, providing players with a fun sports gambling experience. All of the sites that we recommend have been tested and proven to pay out to American users in all 50 states. There are no land-based sportsbooks, but there are still places where you can bet on sports in Wisconsin. If you use a legal Wisconsin sports betting site, such as Bovada, BetOnline, SportsBetting, or 5Dimes, you will be able to bet from anywhere that you have a Wi-Fi connection. You can place wagers while lying in bed or from your home office. With a mobile sportsbook, you can even bet on the Packers while waiting in line at the grocery store. Wisconsin is not one of the states with newly established brick and mortar sportsbooks. Using a local bookmaker is dangerous, and even social sports pools are frowned upon. The internet is the only way to bet on sports while physically remaining in the state. There may not be sportsbooks, but there are casinos located all over the state of Wisconsin. 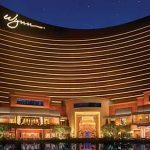 These tribal casinos offer Class III gaming, which means that you can enjoy blackjack, roulette, craps, keno, bingo, poker, and slots at most locations. If you were to visit a venue like Lake of the Torches Resort Casino in Lac Du Flambeau, you would also be able to enjoy accommodations and additional amenities. There are 20 casinos to choose from in Wisconsin, with some of the most popular cities for gaming listed below. 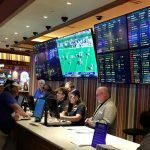 Even though they don’t offer sportsbooks quite yet, once state officials change their stance on the issue these cities would most likely receive the privilege first. The Wisconsin sports betting and gambling laws are relatively straightforward. The types of betting permitted in the state include horse race betting, casino gaming, and bingo. Chapter 562 of the Wisconsin Statutes covers the regulation of racing and pari-mutuel wagering. Simulcasting is permitted at licensed racetracks as long as both tracks are in an agreement. Chapter 569 of the Wisconsin Statutes covers Indian Gaming in the state. Though there are tribal governments, the Chapter outlines tribal-state compacts and the Class III gaming that is permitted at Indian casinos. Though the statute does not specifically mention the internet, it could be interpreted to include internet sports wagers. It’s important to note, however, that the statute does not mention that it is illegal to place online sports wagers to offshore sites, but more so targets local operators and those attempting domestic online bookmaking. Though horse race betting is legal in Wisconsin, horse enthusiasts will not find any live tracks. WI horseplayers can use online racebooks to bet on the horses even without spending the day at the races. Horse racing betting sites allow you to wager on races from major tracks all over the nation and abroad. You can also take advantage of bonuses and promotions that give you even more opportunities to bet the ponies. Online racebooks feature Thoroughbred and Harness race tracks to appeal to all types of horseplayers. You can bet on the Triple Crown, Breeders’ Cup, and nearly any other race that you can think of. Horse bet rebates, horse racing results, and live streams make online racebooks the best place to bet on horses in Wisconsin. Daily fantasy sports in Wisconsin have not yet been formally legalized, but DFS operators are still permitted in the state. Lawmakers have attempted to pass several daily fantasy sports bills but have been unsuccessful thus far. With most policymakers pushing toward regulation, we doubt that a law would be enacted to prohibit fantasy contests in the state. With several major DFS operators serving the state, Wisconsin sports fans have plenty of daily fantasy options. Can I Bet Real Money On Sports In Wisconsin? Real money sports wagering is the most exciting way to bet in Wisconsin. Having money on the line makes watching your favorite sporting events even more thrilling. You can put down a few bucks as a recreational bettor or lay down a few thousand as a high roller. Thousands of WI residents use offshore sportsbooks to place real money bets every day. All you have to do is make an instant deposit to start wagering the same day. Is Online Sports Betting Safe In Wisconsin? Yes, gambling on sports online is safe in Wisconsin, but only at reputable sites. There are dozens of online sportsbooks that residents use every day to wager on their favorite sports. Many of these operators have been around for decades and can be trusted for reliable banking methods. However, we strongly recommend using either Bovada, 5Dimes, SportsBetting, or BetOnline to ensure the safest experience. All of your contact information is also kept confidential and is never shared with third-party sites. Your safety is the #1 priority at legal Wisconsin sports betting sites. Will Sports Betting In Wisconsin Ever Be Legal? There is a chance that legal sports betting in Wisconsin will come in a few years. It depends largely on how the newest administration views the practice, as well as the costs and benefits of allowing it. Since other neighboring states are introducing legislation, legal sports gambling in Wisconsin’s gaming facilities could also be pressured to become a reality. Eventually, lawmakers are sure to see that there will be enough economic benefit by regulating betting on sports. Will I Get Arrested For Sports Betting In Wisconsin? No, there has never been a Wisconsin resident arrested for placing a sports bet online and we do not anticipate it happening anytime soon. The only way that you would get arrested is if you attempted to start your own sportsbook or started collected sports wagers online. While we are not lawyers, we can say that law enforcement typically targets operators and not casual bettors. What Is the Sports Betting Age In Wisconsin? The sports betting age in Wisconsin is set at 18 years or older. There are only a handful of offshore online sportsbooks that allow residents to start betting at 18, which means WI residents can start betting on sports sooner than others. You will be able to join nearly any site as most online sportsbooks start accepting players at this age. Are There Mobile Sports Betting Apps Available In Wisconsin? Mobile sports gambling apps are readily available and quite popular in Wisconsin. 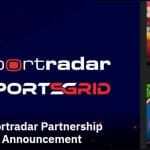 When you use these apps, you have the same selection of sports, wager types, and betting options that you would at the desktop site. Typically, no download is required since offshore operators like Bovada, SportsBetting, BetOnline, and 5Dimes, since they offer a site that is optimized for mobile instead. This makes it easier for iOS and Android users to simply visit the legal Wisconsin sports betting site from their smartphone or tablet. Where Is The Best Place To Bet On Sports In Wisconsin? Believe it or not, the best place to bet on sports in Wisconsin is from your own home. There are no land-based sportsbooks in the state, but residents still have access to thousands of sports gambling options online. Legal Wisconsin sports betting sites that are based offshore bring Vegas-style odds boards to America’s Dairyland. You can bet on the Green Bay Packers and other local teams without having to step foot out the door. Should I Use A Local Bookie In Wisconsin? Using a local bookie in Wisconsin is never a good idea. Bookmaking is prohibited by law and you will get penalized along with the bookmaker. There are no guarantees that you will get paid when using an illegal bookmaker, plus it can also be quite dangerous. If you want to bet on sports, use a licensed online offshore bookmaker or visit a state with legal sportsbooks. Do Any Casinos In Wisconsin Have Sports Betting? Unfortunately, there are no casinos in Wisconsin that have this type of gaming. The tribal casinos in the state offer Class III gaming, which consists of slots, blackjack, roulette, craps, poker, and other traditional casino games. Other states such as Oklahoma are looking to rework their tribal compact so that Native tribes can accept sports wagers at their casinos for an added tax, but that discussion has yet to be entertained by WI state officials. Can I Bet On Sports With My Friends In Wisconsin? No, you cannot bet on sports with friends in Wisconsin. Social gambling is not permitted in the state, meaning even the smallest of bets between friends is not technically legal. WI Stat § 945.02 states that gambling is making a bet, which is defined as a bargain where it is agreed that a person will receive something of value in return. There are no exceptions made for bets made in a private social setting. This truly makes using online offshore sportsbooks the only way to access legal Wisconsin sports betting.